Other than attending parties, buying gifts and preparing food for Noche Buena during the Christmas season, another thing that excites us most is our 13th-month pay. It is an extra month compensation for working for the entire year but the computation may vary depending on your salary as well as the length of service for the whole calendar year. Have you ever wondered how the 13th-month pay is being computed? Before we tackle its computation, let’s define first the variables involved: 13th month and basic salary. 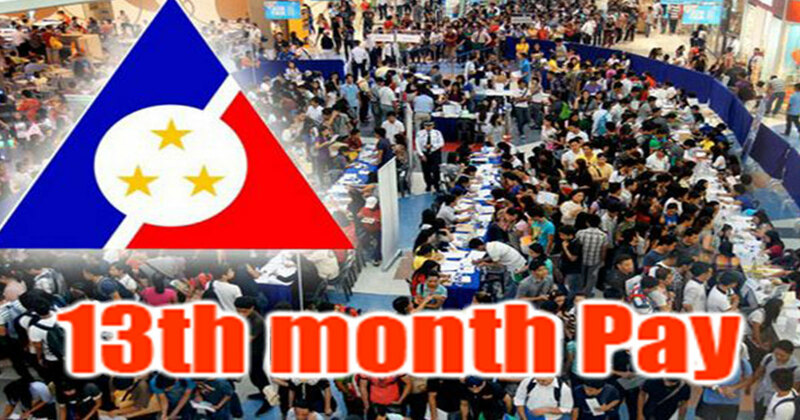 The 13th-month pay is one-twelfth of the employee’s basic salary within the entire calendar year. The basic salary is the remunerations or earnings paid by the employer to the employee for the services that he/she rendered. The basic salary does not include profit-sharing payments, cost-of-living allowances, overtime pay, night shift differential, premium pay, holiday pay, unused leave credits and other monetary benefits that are not considered a part of the employee’s basic salary. All employees in the private sector are entitled to 13th-month pay regardless of their designation, position, and employment status. The 13th-month pay is not subject to tax – only when the gross benefits received by the employee (both private and public companies, do not exceed Php82,000. How to compute the 13th-month pay? It is computed based on the 1/12 of the total of total annual income, or basic monthly salary for the entire year divided by 12 months. When do you get your 13th-month pay? According to the law, this should be given to the employees on or before December 24 of the year. But in most cases, some get their 13th-month pay in the first week of December while some within the Christmas week or a day before Christmas day. However, the employer is allowed to split the 13th-month pay into two. He may give ½ of the 13th-month pay before the opening of the regular school year and the other half before the December 24.